Both split and cracked shingles are characterized by lines along the surface of individual shingles. However, splitting is characterized by deep gaps that go all the way through a shingle. On the other hand, shingle cracks are usually just surface-deep. Roofing and gutter companies will tell you that splitting and cracking are caused by thermal expansion, but how they happen is different. Splitting happens when thermal expansion causes the different layers of a shingle to literally pull themselves apart from each other because one of the layers is secured by a fastener. On the other hand, cracking is caused by more gradual wear and tear, with thermal expansion creating smaller tears at a time, so the cracks are more shallow. Because splitting and cracking differ in terms of depth, they also pose different degrees of danger to the roof. Splitting creates an instantaneous passageway for water, which leads straight to the more vulnerable parts of the roof. On the other hand, cracking causes the entire surface of the shingle to weaken, possibly causing the shingle to buckle or get dislodged later on. While splitting and cracking are different from each other, both problems are solved by replacing the damaged shingles. Fortunately, both types of problems can also be prevented by removing factors that can increase wear and tear on the shingles. For example, adding gutter guards that prevent gutter clogs helps eliminate moisture damage that increases the risk of either type of roof problem affecting your shingles. Keep your shingles safe from splitting or cracking with help from our experts. 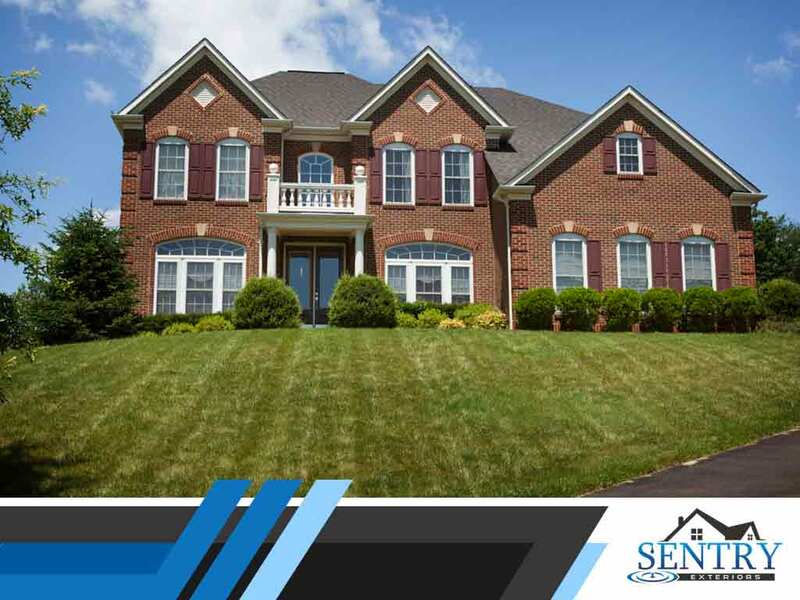 Sentry Exteriors is the most trusted roofing contractor in Charlottesville, VA. You can call us at (434) 333-7753 or fill out this contact form to request an estimate.